DARMSTADT, Germany – September 12, 2018 – TE Connectivity (TE), a world leader in connectivity and sensors, is introducing a new range of robust unmanaged industrial Ethernet switches with M12 connectivity for use in railways and other forms of public transport. 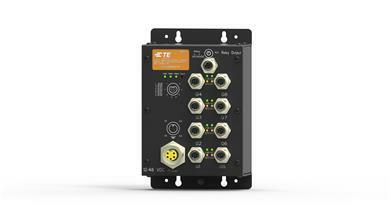 The new switches are designed to enable faster and more reliable networks. 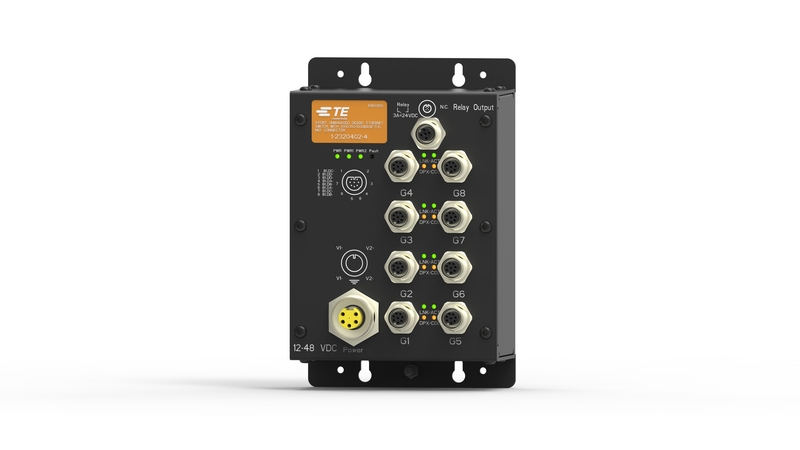 Key features on TE’s new switches including redundant input power and an optional bypass, ensure that networks do not fail, even in harsh conditions. In the event of a power failure, the switch will transfer data to the next network node, enabling uninterrupted network performance together with increased safety. In addition, with several options for input voltage as well as PoE (Power over Ethernet), enabling both data and electrical power to pass through the same twisted pair Ethernet cable, the new plug and play switches ensure easy network setup. Elimination of discrete power cables allows for cost reductions both from a component point of view as well as the installation cost of the network devices. Depending on model, the number of ports ranges between five and eight ports, all supporting M12 connectivity. They support data speeds of up to 1 Gb/s, thereby future-proofing against network expansions in the short and medium-term. The switches comply with EN50155, the international standard covering electronics equipment used on rolling stock for railway applications. 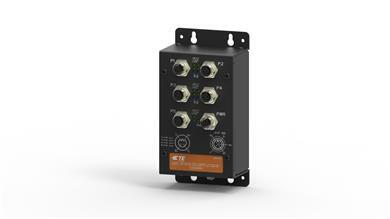 For more information on Industrial Ethernet Switches with M12 Connectivity, contact the Product Information Center at +1 800 522 6752 or visit http://www.te.com/Industrial Ethernet Switches. TE, TE Connectivity and the TE connectivity logo are trademarks of the TE Connectivity Ltd. family of companies.